I believe this was the first car in Chipping Campden, owned by L.T.S. 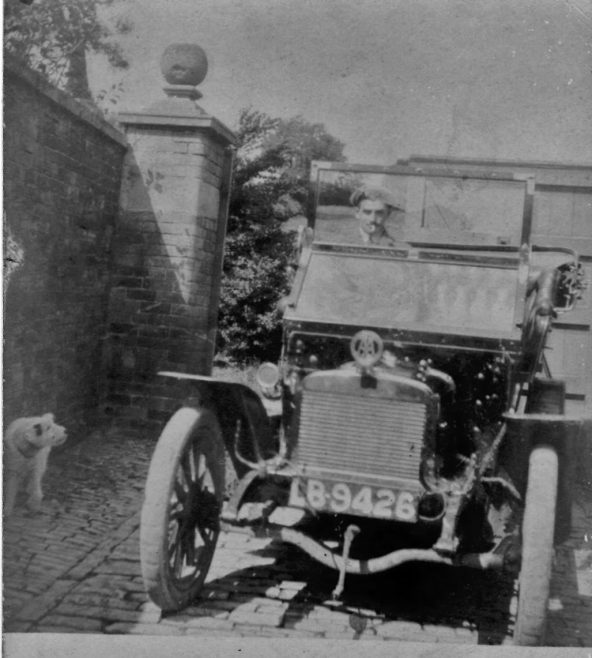 Morris (pictured at the wheel) whose parents owned Cotswold House. I came across it in some documents of my stepfather P S Morris in Brisbane, Australia, and some correspondence notifying of the sale of Cotswold House for £1600 in 1916.